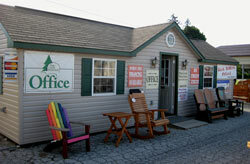 Our lot is Always Open to Browse! Feel free to open the buildings and take a look inside. The After Hours Buildingis Always Open! Feel Free to take brochures and look around. 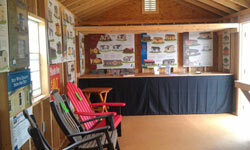 Stop by the lot today to find the right storage shed or garage for your gear. Big or Small... We build it all! Choose any structures from a small storage sheds to a 2-Car Modular Garage. Don't see any structures in stock that's right for you? Let us help you custom design your perfect structure! Available for purchase at Pine Creek Structures, Hanover! Wood and Poly Furniture Available. All In Stock Furniture is now ON SALE! 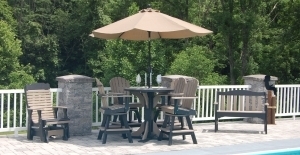 Visit our Outdoor Patio Furniture webpage to see ALL your options. "Jesse, so often companies and individuals only hear from customers when they are dissatisfied. I can assure you that I am not contacting you to complain. I can't thank you enough for the courteous service I received when both buying the shed and when it was delivered. I would recommend you guys to anyone without any worry of making a bad recommendation. Thanks again." "We highly recommend Pine Creek Structures for their quality products and their delivery man who was above and beyond excellent!" "Dear Jesse, I want to say thank you for a job well done! It was a PLEASURE doing business with you. Let us know if you need a customer referral. You sure did a great job for us!" "Just a note to let you know how pleased we are with our new pergola. The men who came to put it up did an excellent job and were swift and professional. Thank you again for your help and assistance and might I add, you also sold us our shed, which we also are very pleased with. Thank you again, we are very satisfied!"